The HBP-ZL range of products are utilised throughout manufacturing and processing industries, with particular successes being achieved within food related markets. The company says that the lowest possible operational and ownership costs are achieved by continually recording the equipment working parameters and providing feedback to the equipment control unit. 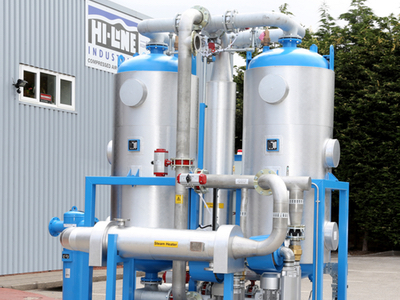 In the HBP-ZL range of desiccant air dryers by Hi-line Industries, this information is continually processed to achieve a consistent, optimum dryer performance. No compressed air is lost or wasted during operation and the system regeneration is achieved by desiccant cooling together with an external heat source and bi-directional blower. Viable heat regeneration sources include electrical, oil, steam; heat of recovery and dual-heat, or whatever source is most locally available. The range of standard dryers covers 15 models providing throughput capacities from 165–5,500 scfm. A dew point of -70°C can be maintained with the air purification products, while also ensuring a zero loss of any processed compressed-air. Rockwall lagging, combined with efficient heaters, ensures that the HPB models dryer vessels maintain a high proportion of their operational duty in an economic standby mode. 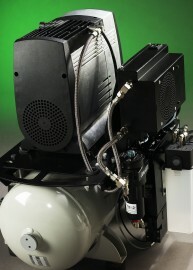 Further energy saving features include soft start options and the use of bi-directional fans. These are coupled with built-in data logging functions for automated energy management system (AEMS) available via USB port extraction. Dial-in modems and Bluetooth facilities are also available. The AEMS system undertakes continuous data collection on the drying cycles. This process can be optimised with precise appropriation of low-energy tariffs. An on-site survey will establish the physical requirements of dryer height and footprint dimensions and alternative software requirements right down to customer colour choice. 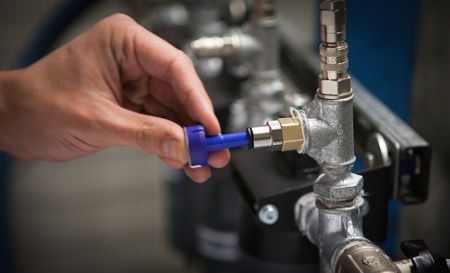 Stainless steel interconnecting pipework and valves are used throughout and maintenance agreements that automatically extend the product warranty period to five years are available. Pressure vessels conform to BS EN 5500 and ASME VIII plus Pressure Equipment Directive (PED) 97/23EC. 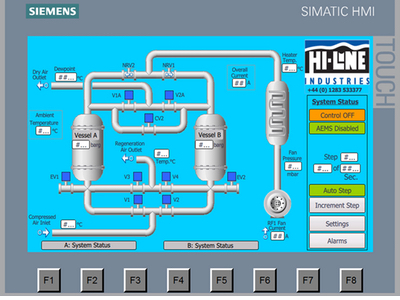 Siemens PLC control is available as standard with optional Mitsubishi or Allen Bradley systems available on request.